Bare face to start with moisturiser and sunscreen already applied. As much as I would love to sit around playing with my makeup all morning, in reality I usually have about 5 minutes to apply it (with my two small daughters hanging off my knee's as I do so). I thought it might be fun to share my ultra speedy regime. It doesn't take long but boy does it improve my mood if I can leave the house knowing I don't look like a total wreck. I usually mix up the products I use, but these are fast-firm favourites. 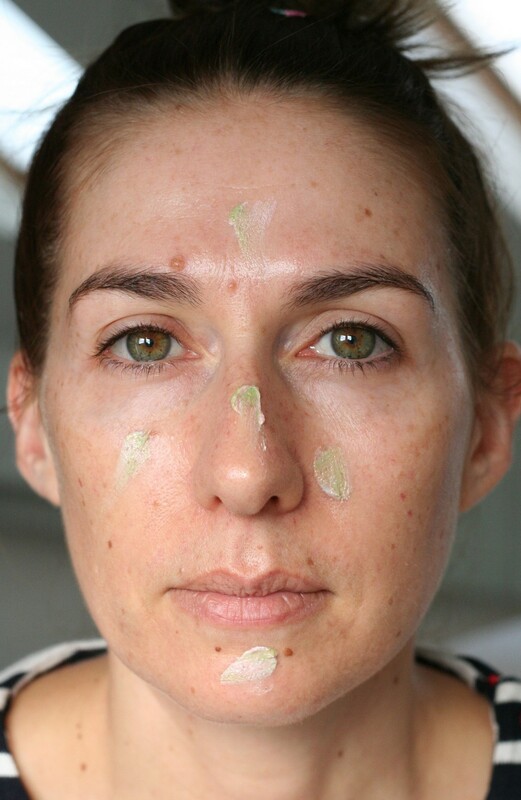 I apply the primer in dots on my nose, chin and forehead then blend outwards. You can read a full review on this primer here. Again I apply the product in dots in the centre of my face where most of the redness is and I blend outwards towards my hair line. I find using my fingers is best as it warms up the foundation making it easier for it to blend in to my skin. 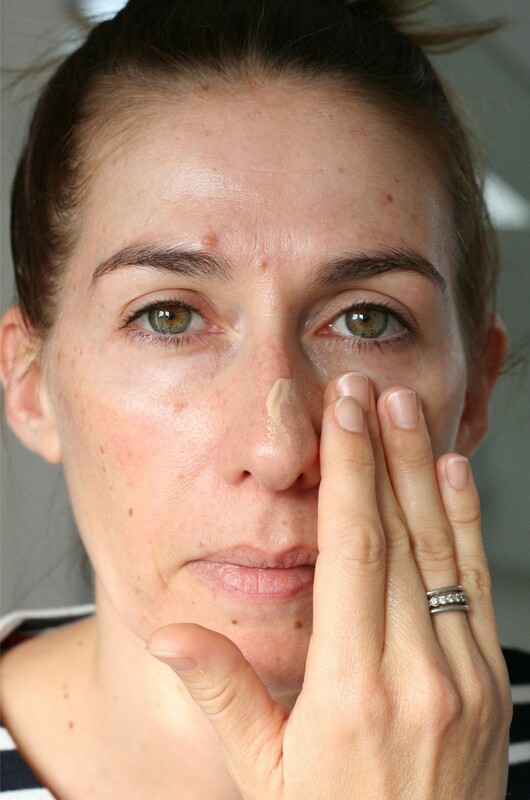 I apply the concealer with my ring finger to the inner most corner of my eyes, then blend it in using a patting motion. You can read a full review on this concealer here. Powder sets the concealer stopping it from settling in to any fine lines. I apply it in a gentle patting motion using a flat eye shadow brush. You can read a full review on this powder here. Always, always, always curl your lashes. Everything looks better with curled lashes! I use the same mascara every day. They don't have a long shelf life so I only have one black mascara on the go at the one time. I love how fine the wand is on this Clinique one. To apply blush in the correct place, it totally helps if you smile like an idiot while you do it. I apply, once again using fingers, to the apples of my cheeks while smiling and blend upwards. You can read a full review on this blush here. I set everything with a generous dusting of powder using a large fluffy brush. You can read a full review of this powder here. Usually applied as i'm running out the door.